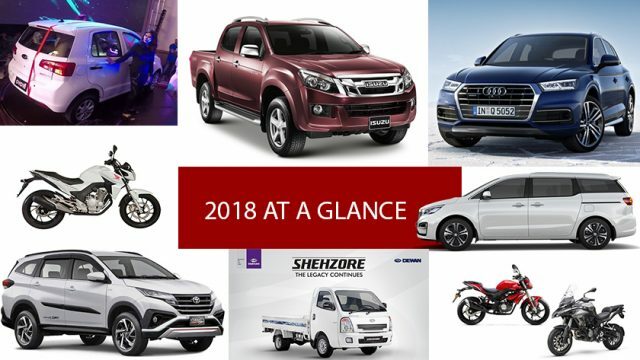 When it comes to the auto industry of Pakistan, 2018 has been a rollercoaster ride with a mix of news for automakers, dealers, and a common consumer. With that being said, let’s start our picks with the positive ones. 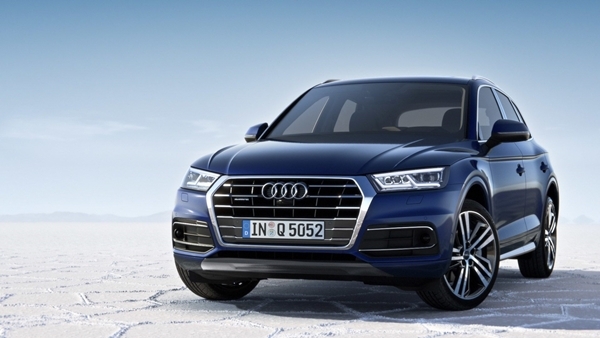 Audi Pakistan has been very active when it comes to bringing new cars to the country and fortunately, Audi did manage to introduce the all-new Q5, earlier this year. It features an updated design and improved tech throughout. Q5 is currently being sold for around PKR 20 million, which may be a lot for a mid-sized SUV; however, an excellent addition to the luxury SUV segment. 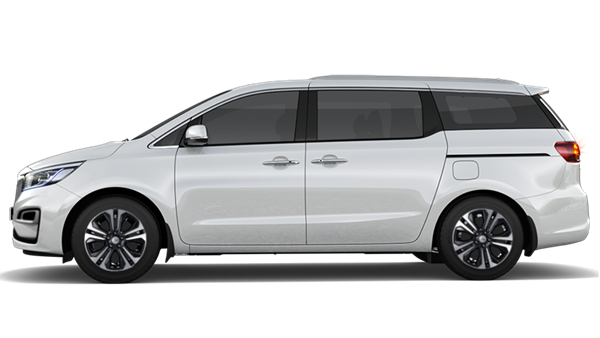 South Korean automotive manufacturer, Kia has launched Grand Carnival in Pakistan, in collaboration with its local partner Yunus Brothers Group forming Kia Lucky Motors Pakistan. Grand Carnival is one of its kind vehicles and is equipped with 3.3-litre engine mated to a 6-speed auto transmission that produces 270 horsepower at 6,400 rpm and 318 Nm of torque at 5,200. Such a massive car, yet it can still achieve 0-100 in just 8s. Currently, this vehicle is priced at 44 Lakh for the base model and 53 Lakh for the top tier model. More KIA vehicles are expected soon. We are genuinely surprised how Burqa A. (Benelli) has managed to grab a handsome share in the heavy bike market in such a short time. 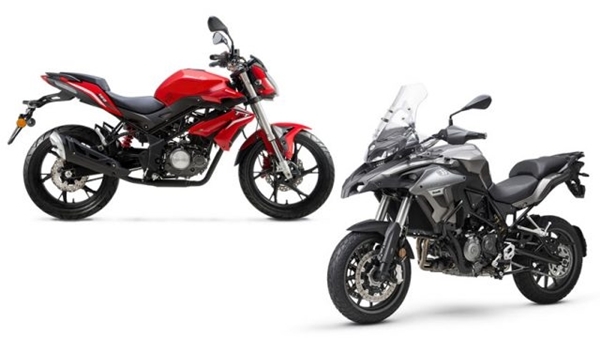 While initially they only offered a TNT25 (250cc) and TNT600 (600cc), but this year, they brought two new bikes, one of which is a TNT150i (150cc) and other is tourer bike called TRK 502. People were genuinely excited for the TNT150i and we are glad that Buraq A. decided to bring the EFi based variant rather than the carby based one with lower output like the one in India and Bangladesh. It’s no secret that since last year Honda’s new BR-V has been enjoying a significant market share and people seem to like this 7 seats MPV a lot. 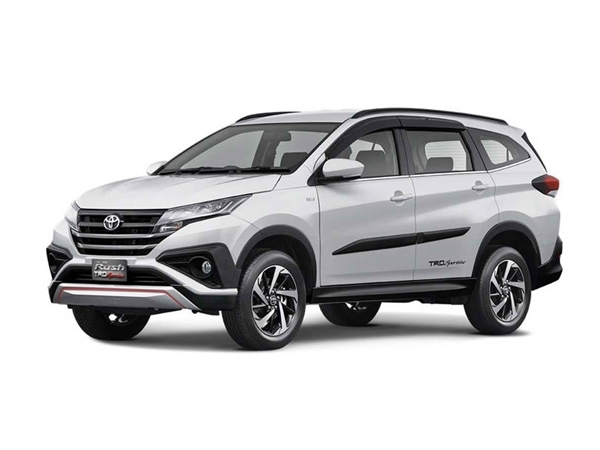 Finally, after a whole year, Toyota decided to follow along and bring back the discontinued Toyota Rush in the form of an all-new model. While Rush is a highly equipped car, however, the price has been a topic for concern for the potential buyers. Let’s see if Toyota has any plans to produce this car locally and bring down the price to a reasonable price bracket, for now, the car is priced at PKR 39.3 – 41.5 lacs. We also saw a limited version of Corolla Xli with an automatic transmission and officially all variants of Corolla can now be bought with an automatic transmission. That’s not all Toyota also launched the Toyota Revo and Toyota Fortuner with a new diesel engine and a bunch of new features. These new diesel variants have a 2.8L GD engine. This new engine is a 2755cc inline-4 common-rail diesel 1GD engine is a turbocharged unit and comes with an intercooler making around 175 BHP (130kW) at 3400 RPM and maximum torque of 450Nm between 1600-2400 RPM. Honda surprisingly brought the manual version of their Honda BR-V, earlier this year, which was previously only available in prosmatec transmission. This new variant is now the new base model and comes with very few features as compared to the other two models. It is currently priced at PKR 2.23 million. And then there was the Honda City with shark fin antenna. 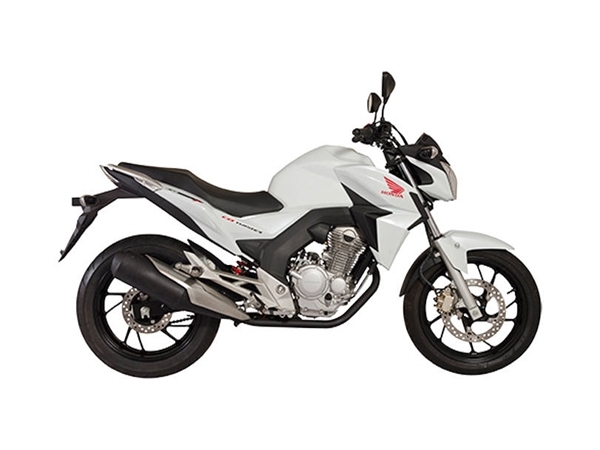 On the other hand, Honda also decided to take on the Benelli TNT25 and launched their CBF250, which is a 250cc single cylinder bike. It features an oil- and the air-cooled engine and comes with dual overhead cams. The engine is mated to a six-speed linear shift transmission. The bike, of course, self-starts. However, its priced at PKR640,000, which is quite a lot for a 250cc bike and Benelli TNT25 comes cheaper and looks far more attractive. The discontinuation of Suzuki Mehran has been long overdue and it seems that Suzuki Pakistan is finally pulling the plug. According to the new notification issued to vendors, the production of the VXR Mehran variant will be stopped for good from April 2019. Not to forget, in July 2018, the company issued a notification regarding the discontinuation of Suzuki Mehran VX variant from November 2018. Mehran will be replaced by the latest gen Suzuki Alto 2019, which might again be named as Mehran; however, this is a developing story. Aside Mehran being discontinued, Suzuki didn’t release any major product this year; however, they did bring a Suzuki Wagon R facelift to market, which along with revised price comes with a set of alloy wheels and chrome garnish on the tail. No doubt Yamaha is doing quite well with its YBR lineup, and earlier this year they have addressed all the issues people were complaining about in their bikes. The facelift models along with a set of new colours come with very noticeable improvements such as a better butterfly carburettor system and a new free flow exhaust, which not only makes this new YBR sound better but, also perform better and achieve a better top speed of 120 km/h as compared to 105km/h from the last model. Yamaha also introduced their award-winning colour “Night Flou” in the YBR-G, as a limited edition and 1000 units would be produced. 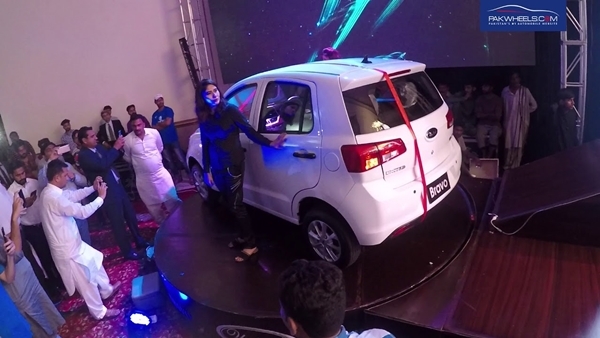 Finally, on 26th November 2018, United Motors officially rolled out the first ever locally assembled United Bravo. With the launch of this car, United Motors, along with Toyota, Honda, Suzuki, and FAW, becomes the sixth company to join the league of assembling passenger cars in Pakistan. As far as the plant capacity is concerned, United Motors has not revealed anything, but the company has ensured car deliveries on given time. United Bravo is an 800cc hatchback, which loaded with some features considered as a luxury for this segment and it’s believed to disrupt the small car segment in Pakistan, if actually sold well. 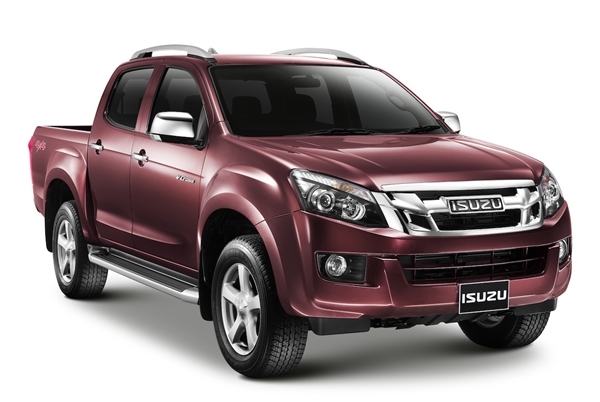 Ghandhara finally launched most awaited all-new Isuzu D-Max 2019 with three different variants and 2 different engine options; 2.5 Litre and 3.0 Litre. The 2.5-litre intercooler turbo engine that produces 134 hp at 3400 rpm and 320 Nm of torque at 1,800-2,800, and 3.0-litre intercooler turbo engine that makes 163 hp at 3200 rpm and 380 Nm torque at 1,800-2,200. Also, Ghandhara Nissan launched 3 Renault trucks in Pakistan, which said to further diversify the local truck market. Ghandhara will import, distribute, and give after sale services to all the three variants that have been launched in Pakistan. Renault and Ghandhara have launched C, K and D ranges. 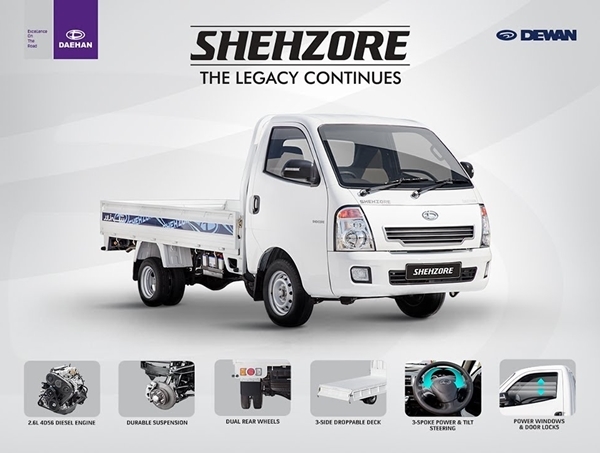 After Dewan Motors was granted Brownfield status at the beginning of this year, it finally relaunched the most awaited Shehroze with a 2600cc diesel engine. One important thing to keep in mind here is that previously, the Shehzore was a Hyundai vehicle. This time around, the Shehzore nameplate has been used for a Daehan vehicle. The loading pickup was very successful back in the days due to its performance, and now with its relaunch as a new vehicle. PakWheels always tries its best to bring something new for the auto lovers across Pakistan. This time around, for the first time in Pakistan, the company launched Certified Car Mela. This program offers a thorough inspection of the car with the help of latest equipment and expert technicians and if it is an imported vehicle, PakWheels verifies the auction sheet as well and give certification to the car and also a guarantee that the car is in optimal condition and auction sheet along with other documents are 100% authentic. First “Car Mela” was held on 7th October 2018 at Packages Mall, while the second one was arranged on 2nd December 2018 at Liberty Market. Both events were a huge success and PakWheels is looking forward to organizing more of these in near future in various other cities. PakWheels was also invited on a 5-day trip to Changan Headquarters, Chongqing, China, organized by Master Motors Limited. Alongside dealers, it was definitely a great opportunity for PakWheels to witness this automotive giant from up-close and report the findings to the readers here in Pakistan. Importantly, Changan has joint ventures with global brands such as Ford, Mazda, Suzuki, and PSA and with the addition of Master Motors Limited, which is its latest venture. Changan has a presence in 43 countries, and it has R&D centres all over the world and now it has also made an entrance to Pakistan, so we can expect new advanced vehicles from them in coming years. Along with that, PakWheels has hosted various auto shows throughout the country, which has always been a signature point for the company and has always attracted a trendy crowd and helped people express their love for cars at one place. Now that we are done with celebrating all the noticeable good things happened in 2018, let’s take a look on some other small things and the bad ones that came along in 2018. Price hikes are very unpleasant and any significant cost increase of a product especially cars without any added improvement upsets the customers. Now considering the fact that the dollar price has been going up for the past few months, we have already seen 3 price hikes across the board starting from motorcycle manufacturers, all the way to luxury car brands such as Audi. Since the dollar price isn’t going down anytime soon, these prices are bound to rise again and most probably Corolla and Civic will soon cost around 35 Lakhs for the top line models. Currently, both reside at around 30 Lakhs. On average, a motorcycle costing around 1 Lakh at the start of the year now costs around 1 Lakh 10 thousand. Whereas, luxury cars such as Audi A3 are now 5-8 Lakh more expensive. If car prices weren’t enough, the fuel prices have also gone up by a significant margin and despite the barrels being quite cheap this time, the fuel prices haven’t been brought down yet. We also believe that another price hike is expected in the near future. Pak Suzuki announces to set up a second vehicle assembly plant in Karachi and manufacture 100,000 more vehicles a year. Six units of the ultra-luxury Mercedes S600 Maybach were delivered to the Prime Minister (PM) House. The vehicles were armoured and bomb-proof, as per standard for premiers and state guests, and were valued at Rs. 180 Million (18 Crores) each. PM cars auctioned to the public including the 6 Mercedes S600 Maybachs. The most popular ride-hailing service Careem launched its operations in Quetta. As of now, Careem’s Go and Rickshaw categories are available to the citizens. Punjab Safe city launched E-Challan system, which is aimed at improving traffic management without any human interference. Currently, PSCA is managing 130 roundabouts where there are traffic signals that have cameras, which detects a violator automatically, then we cross-check with the data given by the excise, and then the challan is sent to the registered address. 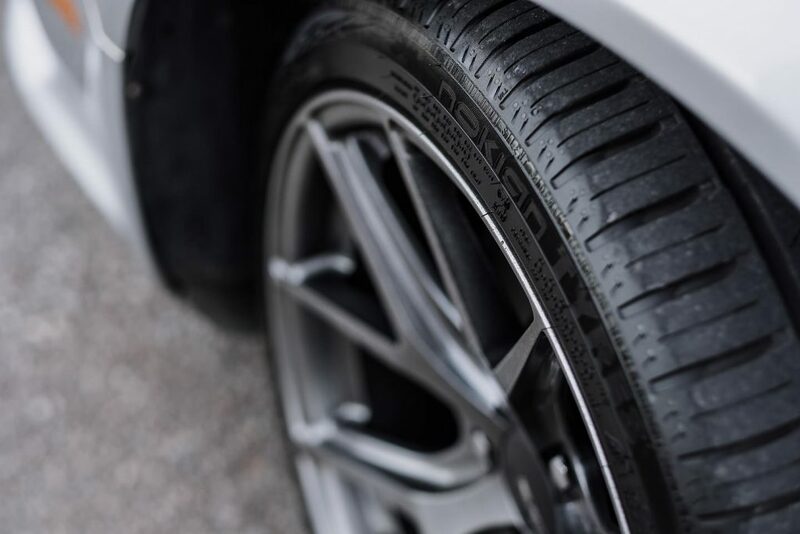 Car premium got stupidly high during the start of the year however government, as well as manufacturers, took notice. While the government has made it really hard and unappealing for non-filer to buy a new car whereas companies also started to cancel the booking of non-filers to further discourage the menace of car premium in the country. Master Motors introduced three vehicles for Pakistani market; one is an MPV Kaarvan, whereas other two include M8 and M9. The MPV Karvaan is priced at 1,000,000 rupees, and M8 and M9 at 850,000 and 900,000 rupees, respectively. Apart from this, here are the 7 cars worth waiting for in 2019.